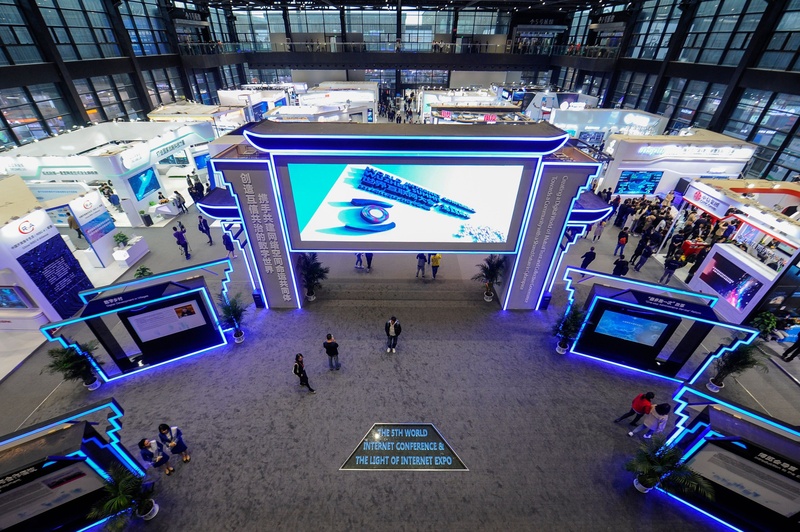 This year’s forum kicked off in Wuzhen on Wednesday, two days after Xi made opening remarks to his new pet conference — the China International Import Expo in Shanghai. Delegates trudged through Wuzhen drizzle only to hear a subordinate — a member of the country’s powerful Politburo — deliver Xi’s remarks on his behalf, repeating the exhortations of years past. It was left to the event’s de facto headliner, Tencent Holdings Ltd.’s Ma Huateng, to champion China’s vision — defending the country’s right to influence the direction of the internet as it grows into its role as a true technology power. 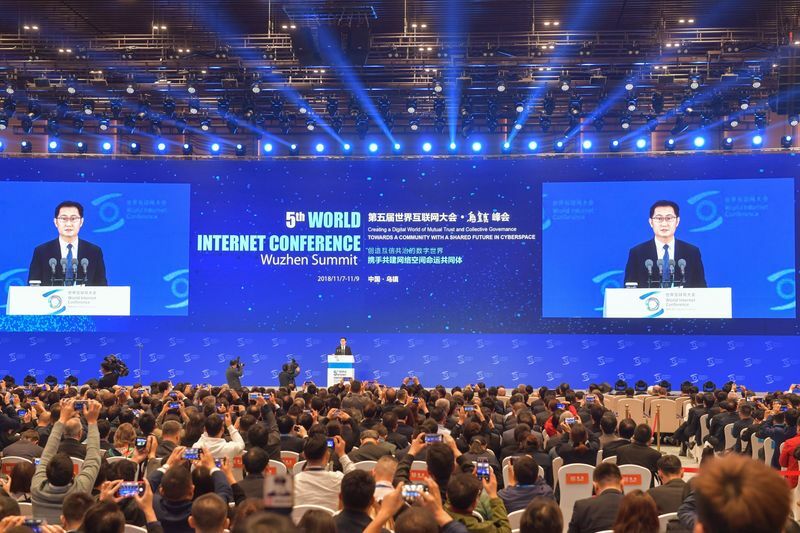 Ma Huateng delivers a speech during the opening ceremony of the 5th World Internet Conference. Amid a trade war between the U.S. and China, American technology giants — no longer courted with the assiduousness of Lu’s era and struggling with issues of their own — were largely absent. While Google sent its CEO last year, the search giant was represented by regional head Karim Temsamani and the company said he wouldn’t be speaking. While Beijing still craves a role in dictating the direction of the global tech industry, many of its trendsetters — including Tencent’s Ma — are struggling with the unpredictability of Xi’s tightening control. That’s not to say Silicon Valley isn’t gently probing ways into the world’s largest internet and mobile arena — take Google and its Dragonfly censored-search experiment. Facebook continues to float trial balloons. But a degree of ‘promise fatigue’ is setting in.